Simply styled, 2 claw round diamond solitaire stud earrings, with a minimal two claw setting. 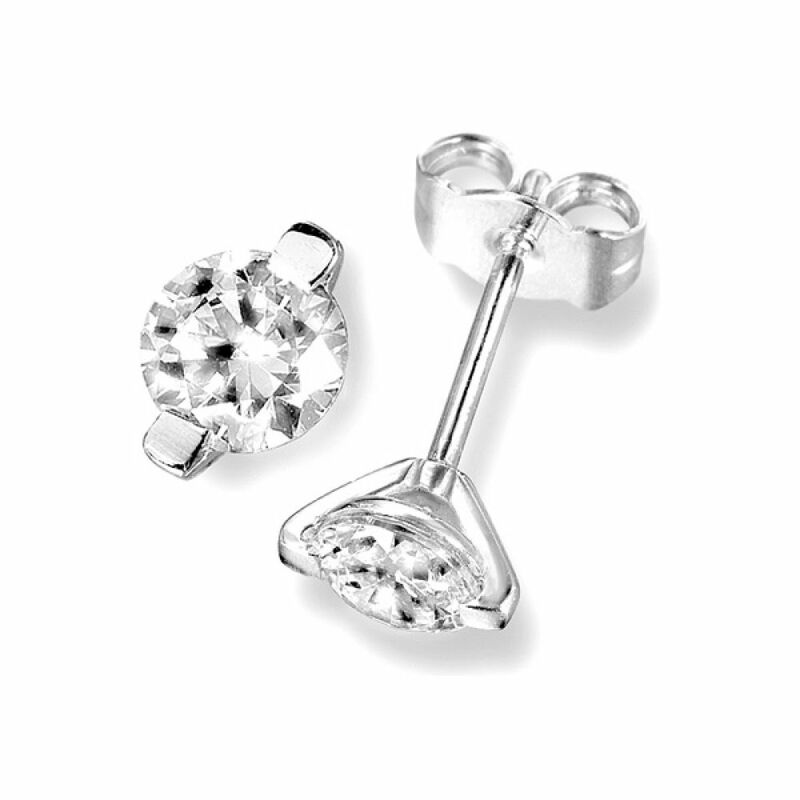 This pair of distinctive Diamond stud earrings are a stylish addition to anyone's jewellery suite. They feature a discreet yet secure two claw setting, letting light flood through the Round Brilliant cut Diamonds. To meet your personal preference you can select your Diamond specifications, making these earrings unique to the individual. There are four precious metal options to choose from - 18 Carat White, Rose or Yellow Gold and 950 Platinum. The Diamonds sit centrally on the ear lobe and have a traditional post and butterfly clasp however we supply secure Lox earring backs with this design for added security. 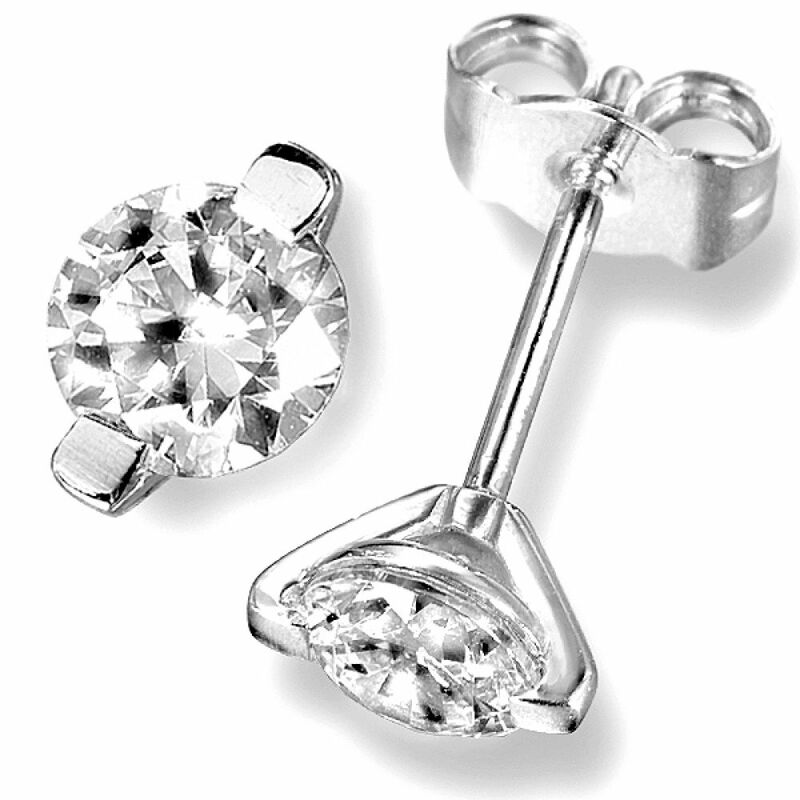 These delightful Diamond studs are crafted to order, so please allow 4 weeks for delivery. Once completed your earrings will arrive to you beautifully packaged, ready for that special moment.